Our staff is collectively pro-naps. A short midday snooze resets tired brains, improves creativity, and keeps crankiness at bay. But how to keep the naps from turning into straight-up sleeping, which makes us feel groggy and out of it? Drink coffee before napping. Daniel Pink, author of several books including When: The Scientific Secrets Of Perfect Timing, has coined a term for this pre-snooze coffee: the nappuccino (link is to PDF). 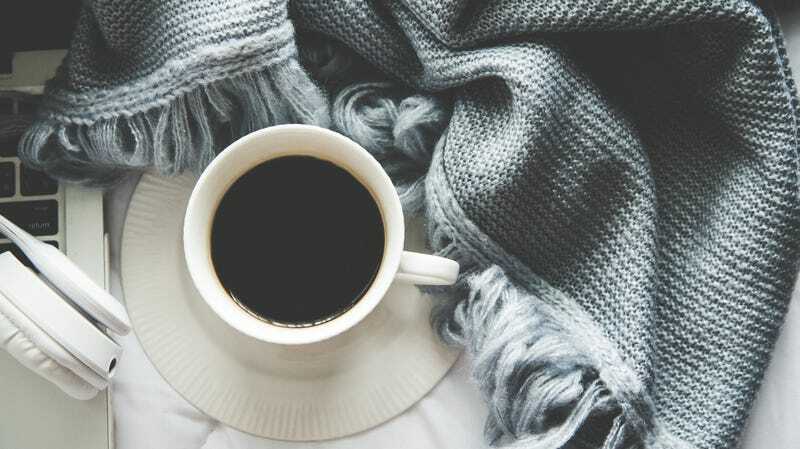 He asserts that the effectiveness of a 25-minute midday nap—ideally scheduled 7 hours after you wake up—can be greatly improved by downing some coffee before snoozing. “Naps between 10 and 20 minutes measurably boost alertness and mental function without leaving you sleepier than before. When you wake up, the caffeine is beginning to kick in,” he writes. Makes sense anecdotally—and science backs him up. So presuming you’ve had lunch, caffeine could take a little longer than 10 minutes to enter your bloodstream, then keep you buzzing along productively for the remainder of your workday. If you wake up at 6 a.m., that means you should down a coffee around 1 p.m., lay down for a nap until about 1:30 (assuming you’ve got a forward-thinking boss), and power effortlessly through to quitting time. One note about naps: The most effective ones are less than 30 minutes. Anything more than that and you enter deep sleep, and if you wake up during this phase, you’ll likely be groggy and even disoriented. Of course, if you insist on napping for more than 30 minutes, you might as well complete one complete sleep cycle—typically about 90 minutes—and you’ll be raring to go the rest of your day.